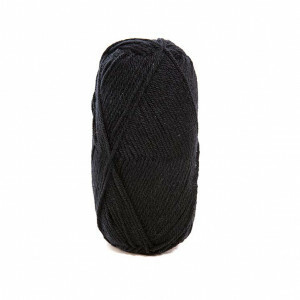 Browse our collection of black yarns. This yarn (which is a bulkier version of the classic Cotton Gold) is made of a cool and comfortable .. This fantastic 4-ply yarn is made of 25% combed merino wool and 75% acrylic which makes it warm, sof.. 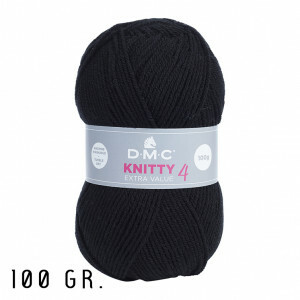 This fantastic DK yarn is made of 40% combed wool which makes the fibers stronger and more compact. 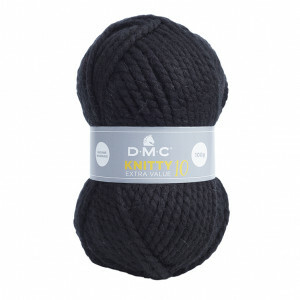 ..
At 500 grams per ball, Waouh Wool is one of the most massive yarns you'll ever find.This super bulky..
Bernat® Mega Bulky is a super bulky acrylic yarn that creates luxuriously thick accessories and home.. The well-known DMC® Candy is washable, non-irritant and easy to work with, making it just right for .. This super soft, great value quality yarn is available in a sophisticated range of shades featuring ..
A quality premium acrylic and great value, Knitty 4 is available in a range of shades from subtle ea.. This super soft, great value quality yarn is available in a sophisticated range of deep natural-look..
Magnum Tweed combines premium quality acrylic with sheepswool in a giant 400 gr. ball for an excepti..